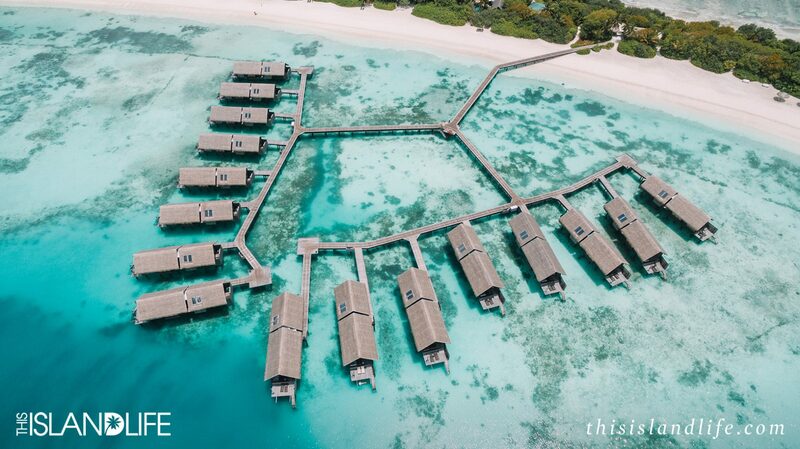 I decided to invest in a drone a few weeks before this trip, because I knew the island would be even more spectacular from the air. 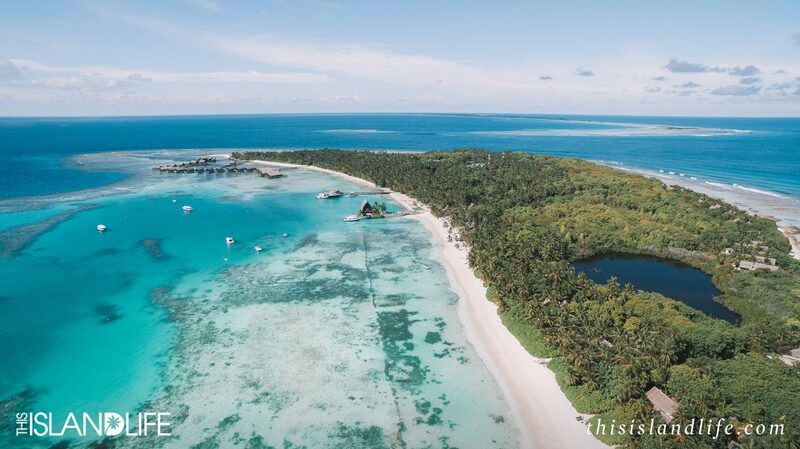 Luckily my boyfriend Jason is a natural with the camera and picked it up super quickly – our videos from the island are a little shaky, but I’m really happy with how our first drone photos turned out. 1. 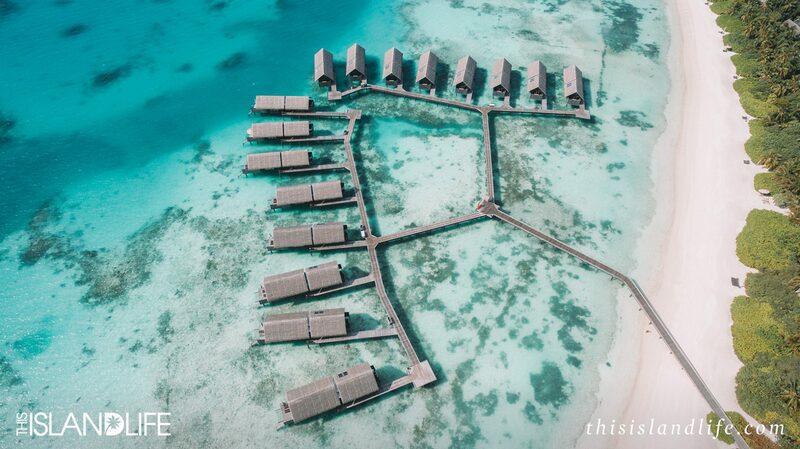 Crystal clear tanning spots in the hammock-style net of our overwater bungalow. 2. 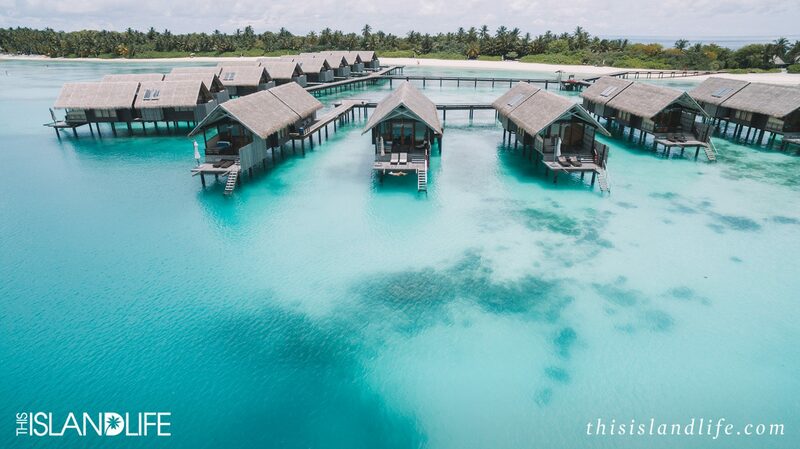 The overwater bungalows – where every shade of aqua comes to life. 3. 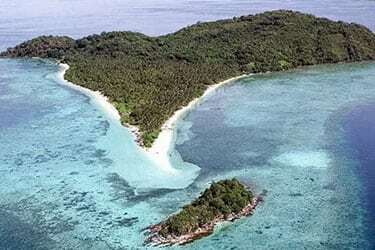 Two kilometres of powdery white sand, fringed by lush tropical palms. 4. 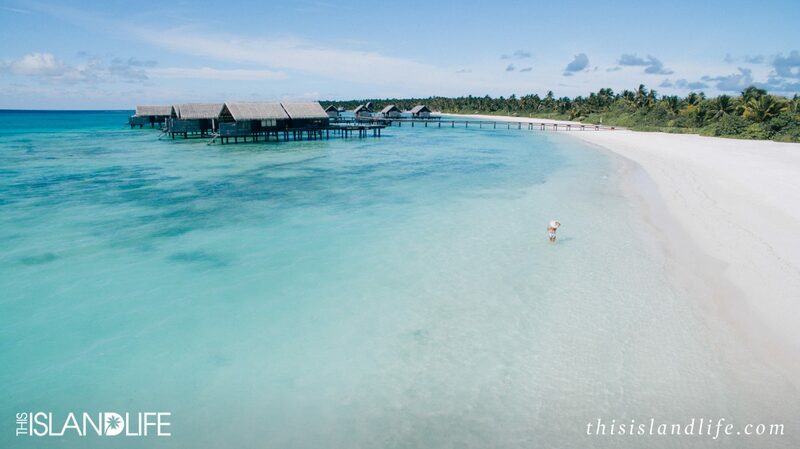 The softest, most powdery white sand between my toes. 6. 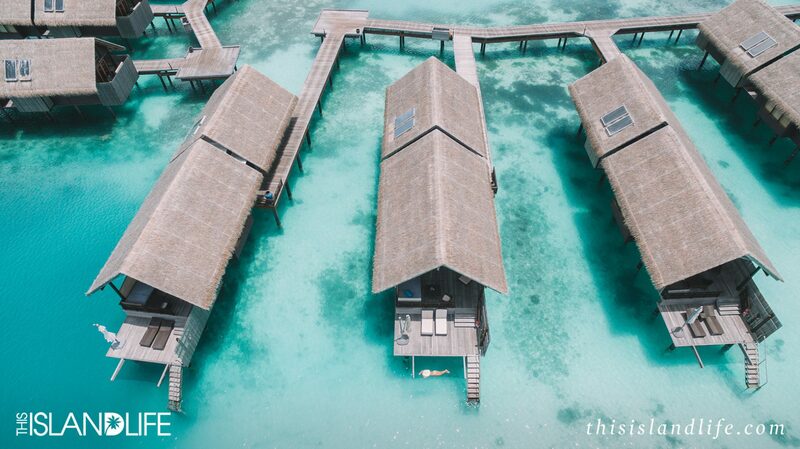 One of the three sets of overwater bungalows on the island. 7. 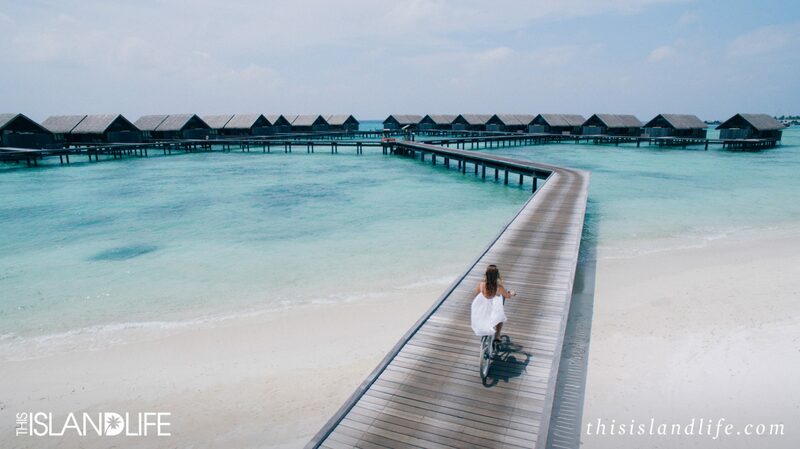 One of the best things about Villingili Island is the three kilometres of lush tropical palms. 8. 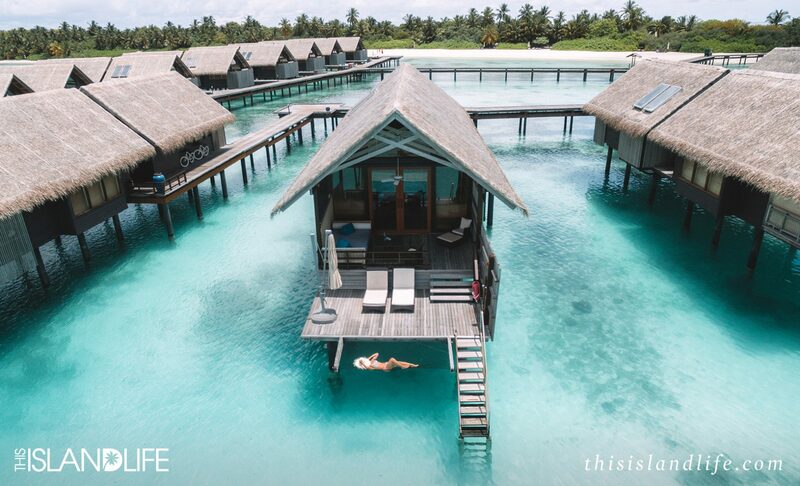 The best way to relax on the island is to chill out on the deck of your overwater villa. 9. 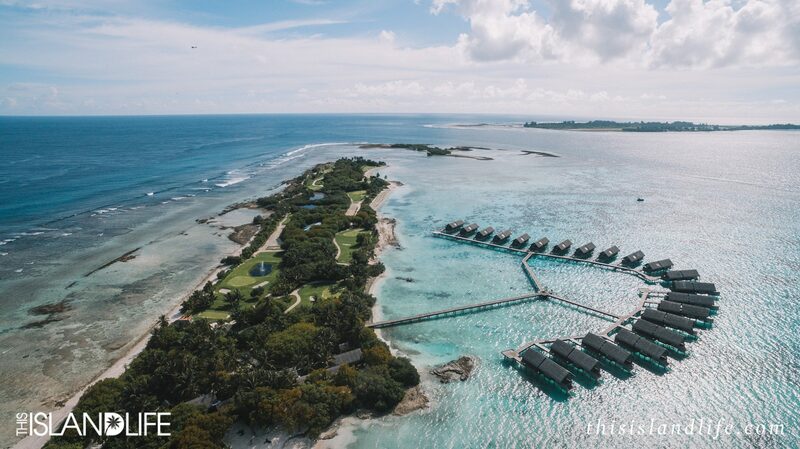 The tropical nine-hole course that’s the only golf course in the Maldives. 10. 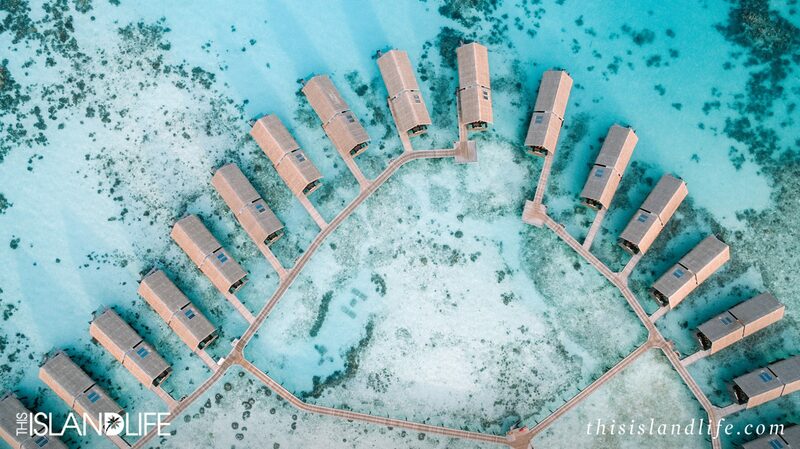 The overwater villas on Villingili are enormous and are some of the biggest in the Maldives.